The Blessing of the Inlet has been an annual lowcountry tradition for over two decades, and this year looks to continue that tradition with faith, family-friendly fun, food and entertainment. With so many local residents relying on our coastal resources, the Blessing of the Inlet is a yearly service that celebrates faith and wishes good fortune upon the region. If you've never attended this favorite event of locals and visitors alike, plan a trip to Pawleys Island today and see why the celebration has become such a beloved annual event in the lowcountry area. This year's Blessing of the Inlet will take place on Saturday, May 5th from 9 AM to 3 PM at the Belin Memorial United Methodist Church in nearby Murrells Inlet. The idea of the Blessing came from the Sunday School of the church and the first festival took place in April of 1997. While the first year was a damp and cold affair with windy, rainy conditions, the weather didn't deter the spirit of the church and festival organizers, and each year the Blessing has grown into a celebration of Christian faith and giving thanks for the prosperity and beauty bestowed upon the coastal Carolina region. Throughout the day, event guests can enjoy an extensive array of area food favorites. Some of the lowcountry's top restaurants will be offering signature lowcountry dishes like chicken bog, shrimp creole, pulled pork BBQ and fish and grits. If you have a sweet tooth, you can satisfy your cravings with offerings like funnel cakes, strawberry shortcake and homemade ice cream. Those in search of souvenirs will be able to peruse handmade crafts and works of art from over 100 local artists and designers. Throughout the day, an entertainment stage will showcase contemporary and classic praise and gospel music, with the Blessing ceremony taking place at 11:30 AM by the Reverend Dr. Mike Alexander and the Reverend Walter Cantrell. If you've planned your spring Pawleys Island vacation and are looking for a great family-friendly event, the Blessing of the Inlet is sure to be a perfect choice. 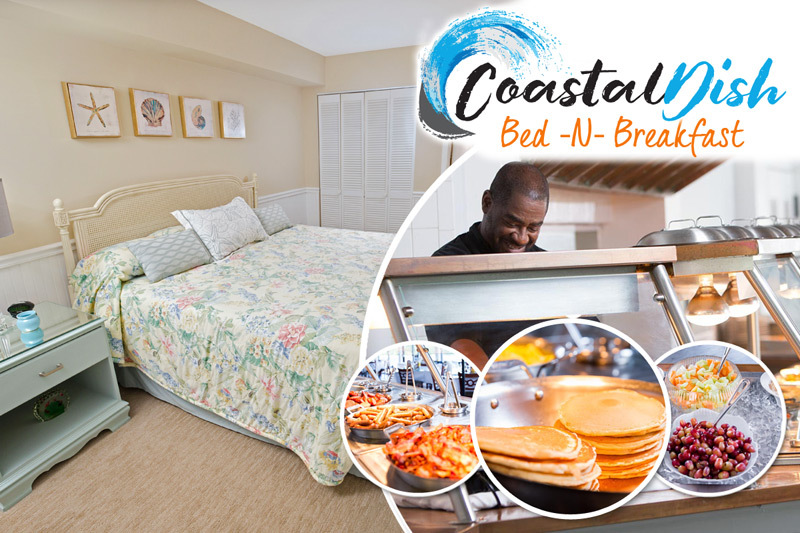 And if you haven't booked a vacation to Pawleys Island yet, with our great spring deals and our AAA/AARP discounts there's no better time to reserve your Pawleys Island condo than right now! Reserve first-class accommodations today, and we'll see you in beautiful Pawleys Island this spring!